David Lewison is a writer and actor whose plays, one-acts, and monologues have been produced by theater companies throughout the United States and internationally, including a recent production of seven of his one-act plays in Korean translations at the Incheon Arts Platform in Incheon, South Korea. 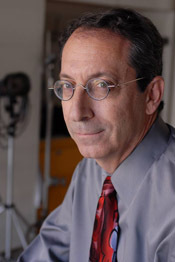 A graduate of New York University’s Tisch School of the Arts and the American Film Institute’s Center for Advanced Film and Television Studies, David also co-wrote the award-winning comedy short, “Dora Was Dysfunctional,” which screened at numerous domestic and international film festivals, aired on the Bravo and Showtime networks, and was short-listed for the Academy Award nomination for Best Live Action Short. David’s acting credits include “Vanilla Sky,” “Silicon Valley,” and “iCarly,” as well as commercials, music videos, and other projects for directors including Michel Gondry, Neil Burger, Tom Kuntz, and Vadim Perelman. Stage appearances include the dual roles of Lane and Merriman in the critically-acclaimed McCadden Place Theatre production of “The Importance of Being Earnest,” Catesby in “Richard III” at the Secret Rose Theatre, and Howie the Angel in his own one-act “In The Desert” at the Egyptian Arena Theatre. David is a member of the Dramatists Guild, the Association of Los Angeles Playwrights, SAG-AFTRA and Actors Equity, and is represented by The Levin Agency in Beverly Hills, California. He lives in Los Angeles with his wife, entertainment and real estate attorney Robyn L. Roth.